We just completed the process of getting our Class A non-commercial upgrades in Texas. It was difficult to figure out what to do and where to do it, so I thought I'd document all the information I can in the hope of helping someone else. Some of this info has already appeared in various threads on this forum, but I'm trying to consolidate and update it. All of this information assumes that you already have a current Texas Class C (passenger vehicle) operator's license. All information below is either from the linked websites or from a supervisor at the Texas DPS office where I took my knowledge test, or from my own experience at the DPS offices, unless otherwise noted. Updated to include information on the new Non-CDL Class A and B Exempt Vehicles Test Sites as of May 1, 2017. Updated to include new requirement as of April 18, 2018 for drivers of towables to take the CDL Combinations Knowledge Test in addition to the Texas CDL Special Requirements Test, along with relevant practice information. Updated to include information on the new DPS system for scheduling driving tests online as of July 18, 2018. Am I required to have a commercial driver's license to operate my personal RV? No. Operators of recreational vehicles driven for personal use are exempt from obtaining a CDL. What license do I need to operate my RV for personal use? It depends on the weight of your rig, including your trailer or toad if you have one. The license classifications are difficult to parse, because they all refer to each other, so it's easiest to understand them in table form. Find the GVWR of your motorhome or tow vehicle in the first column, the GVWR of your trailer or toad in the second column, and the combined GVWR of both vehicles in the third column. The last column shows the class of license you will need. The actual weight of my motorhome/tow vehicle/trailer is less than the weight thresholds above. Do I still need a special license? Yes. All the regulations use the maximum weight for which the vehicle is rated (the gross vehicle weight rating, or GVWR). Your vehicle's actual weight (gross vehicle weight, or GVW) does not matter. Example: we tow our 16,250 pound (actual and rated weight) fifth wheel with a Ford F-450. The F-450's actual weight is about 9,000 pounds, so the combined actual weight of our entire rig is only about 25,250 pounds. Thus, if the regulations used actual weight, we'd only need the standard Class C driver's license. However, the F-450 is rated for 13,300 pounds; added to the rated weight of our trailer, our combined GVWR is 29,550 pounds. Because that's over the 26,001 threshold, we need a Class A Exempt license. What happens if I don't have the proper class of license? Technically, you could receive a citation for driving without a license. Penalties vary from state to state, but in Texas that's a misdemeanor carrying a fine of up to $200 for a first offense. The penalties can be much higher if you're also driving your rig under the influence, or you're cited in combination with another offense. Although you're unlikely to be stopped by a law enforcement officer just to check your license, if you're stopped for some other infraction, you'll probably get the driving without a license citation too. Several RVers have reported that Texas Department of Public Safety troopers are familiar with the regulations regarding Class A and B Exempt licenses as they pertain to RVers, and will enforce them. The other possible consequence arises if you're involved in an accident: your insurance company could theoretically deny your claim if they discover you were driving without the correct license. Is my Class A or B Exempt license valid outside of Texas? Yes, it should be. Although state laws vary, many states have a requirement similar to those in Texas. In general, you are not allowed to hold a driver's license in more than one state--in fact, this is expressly prohibited for commercial drivers, and a CDL from one state is honored in all the others. The same should be true for a Class A or B Exempt. Some RVers--particularly those towing their rigs with medium- or heavy-duty trucks, which look more like a commercial vehicle--carry a notebook in their vehicle with copies of the relevant Texas rules, along with their registration papers and proof of insurance, specifically to show a law enforcement officer who may not be familiar with the law. How do I upgrade to a Class A or B Exempt license? It's a two-step process: first, submit an application and pass a knowledge test on a computer, then take a skills (driving) test. It is a good idea not to try to do both of these on the same day, because you have to schedule the driving test in advance; if you fail the knowledge test, you will have to reschedule the driving test and may have to wait a few more weeks for an appointment. Where can I apply for the Class A or B Exempt license and take the knowledge test? You can do both of these at any Texas Department of Public Safety Driver's License Office in the state. You do not need to take the knowledge test at the same location where you take the skills (driving) test. What should I bring to the DPS office when I go to take the knowledge test? If you want to be super-prepared, you can download and fill out Texas DPS Form DL-43, Application for Renewal/Replacement/Change of a Texas Driver License or Identification Card, and Form CDL-2, Texas Class A or B Driver License Application, Non-CDL Exempt Vehicles. If you don't do these in advance, ask at the information desk for the necessary forms for a Class A/B "Exempt" license upgrade. What will happen once I get to the DPS office? First, you'll be asked to fill out the two forms listed above if you didn't do them in advance. When it's your turn (expect to wait in line), you'll give the forms and your current driver's license to the DPS representative. You will have to take a test for visual acuity and colorblindness. You'll also have a new photograph taken, and you'll submit your thumbprints. You'll pay the $11 fee. Finally, the agent will set up a computer in the testing area for you to take the knowledge test. What knowledge test must I take? (Updated as of April 2018) The knowledge test everyone has to have to take is called the Texas CDL Special Requirements Test by the DPS office. On the computer, it's called the Texas CVO Knowledge Test. Note that you do NOT have to take the CDL General Knowledge Test, nor do you have to take the CDL Air Brakes Test, even if your rig has air brakes. In addition, if your rig is a combination--for example, a truck towing a trailer--several members have reported that the Texas CDL Combinations Test is now also required, effective April 18, 2018. How many questions are on the knowledge test? There are 20 questions on each of the knowledge tests. What is a passing score for the knowledge tests? 70%, meaning that you must answer at least 14 questions correctly. Note that this is a lower threshold than the 80% required for the CDL General Knowledge Test. Are the knowledge tests timed? Yes...well, sort of. You are given 480 minutes (8 hours) to complete each test! In reality, if you've studied, it should take you only 15-30 minutes. Are the knowledge tests "open book"? No. You are not permitted to have or consult any written material during the test, nor can you use your cell phone. Doing either is an automatic failure. How can I practice for the knowledge tests? (Updated as of April 2018) CDLStudyBuddy.com offers a practice test that very closely resembles the Special Requirements Test that I took in 2016. It's helpful, but a few of the answers are wrong; you'll spot these easily, however, if you've studied Section 14. The same site offers a practice test for the Combinations Test. Note that there are many sites that offer practice tests for the CDL General Knowledge Test, but that is not the test you're taking, so don't waste your time on them--be sure your practice test is for the "special requirements" test. If I have to take both knowledge tests (Special Requirements and Combinations), must I take them both on the same day? (Updated as of April 2018) No. You can take them on different days and even at different DPS offices. How long do I have to complete the skills test? You must pass the skills test within 90 days from when you paid the application fee. If you don't, you have to start the application process over. Where do I take the skills test? (Updated as of May 2017) Unlike the knowledge test, which you can take at any DPS office in the state, only certain DPS offices administer the skills (driving) test. Those offices are listed on the DPS (Non-CDL) Class A and B Exempt Vehicles Test Sites page. The sites are listed in alphabetical order, not grouped geographically, so you will want to scan the entire list to find the office closest to you. Should I drive to Livingston to take the skills test? (Updated as of May 2017) The Livingston DPS office is a CDL Skills Test location, and for some years many RVers have preferred to take their skills test there because the office tested so many RV drivers and thus was very familiar with the test requirements. However, Livingston is not listed as a (Non-CDL) Class A and B Exempt Vehicles Test Site, presumably meaning that you cannot take the test there any longer. You might be able to take it by making an appointment through the CDL testing email address, but that's not guaranteed. The good news is that with the larger number of testing offices, they should all know how to administer the test properly. Because you can take the test again if you fail it, I would suggest that you take the test at the CDL Skills Test location that is most convenient to you. Do I need an appointment to take the skills test? Yes, an advance appointment is required. Can I schedule my skills test before I take my knowledge test? Yes, and this might be a good idea because it may be two or more weeks before you can get an appointment. But remember that you must pass the knowledge test before you can actually take the skills test. How do I schedule my skills test? (Updated as of May 2017, but see new information below) To schedule your skills test, click the link for the DPS office at which you want to take the test on the (Non-CDL) Class A and B Exempt Vehicles Test Sites page, and follow the instructions for scheduling an appointment. Different DPS offices use different scheduling systems, so the exact procedure will vary a bit. However, you probably will not find an option for the Class A or B Exempt test. Don't worry: just schedule the test as if you were driving a Class C passenger vehicle. Usually, it will be called something like "Driving Test - Regular Car / Pickup Truck". Other Escapees members have been advised by DPS that this is the correct procedure, even though it's not obvious. But when you arrive for the test, be sure to tell the examiner that you are testing for a Class A or Class B Exempt license (although it should be apparent from what you're driving!). New information as of July 2018: The DPS has just greatly streamlined the skills test scheduling process. After you pass the knowledge test, a DPS employee will register you in the new Texas DPS Drive Test Scheduling System. You'll log in with your driver's license number, date of birth and email address. Once logged in, you can choose the license type you're testing for and the geographic area in which you want to take the test. The system will then show you available dates and times for your test and let you book an appointment. Within the Drive Test Scheduling System, you can also cancel and reschedule appointments, check for and change to better dates and times when they come available, and search other offices for better appointments. Users report that the new system works well, and includes real-time availability that's updated as soon as someone else cancels an appointment. It's not yet clear if all DPS offices are using this new system, so if you don't get specific instructions for it after you pass your knowledge test, be sure to ask. You might still need to use the procedure in the preceding paragraph. When must I arrive at the skills testing location? The instructions say to arrive at least half an hour early to complete paperwork before the test. We did that and proceeded to sit in the testing lane for 35 minutes. If you've already done all the paperwork before taking the knowledge test, there is really nothing else for you to do before the skills test. But, it never hurts to be early. What should I drive for the skills test? Drive your own rig. If you usually tow a toad behind your motorhome, you are NOT required to bring it for the test. The one exception is if your toad, when combined with your motorhome, bumps you into a higher licensing class than the motorhome alone would. This can happen only if your toad has a GVWR over 10,000 lbs. 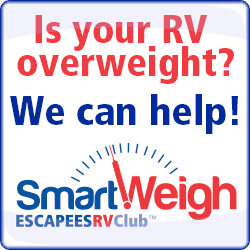 (unlikely with most passenger vehicles) AND either your motorhome alone or the combination of both vehicles has a GVWR over 26,000 lbs. In this case, you would need to bring your toad connected for towing, but be sure to tell the examiner that your combination can't be safely backed up more than a few feet because of the risk of damaging the toad. Wait--might I get a citation for driving my rig to the test without the proper license? This is not an official answer, but other RVers have reported that this is simply not an issue. One person was told by the DPS office, "we are licensing, not enforcement". With so many RVers ignorant of the Class A/B licensing requirements, the DPS staff is likely to just be happy you are trying to do the right thing. I wouldn't lose sleep over it. In our case, the examiner obviously saw that we had driven our own rig to the test center, but she said nothing about it. Is the Class A or B Exempt skills test the same as the CDL test described in the Texas Commercial Motor Vehicle Driver's Handbook? No! This was the biggest relief for us. The CDL test is a rather intimidating, three-phase test that consists of a detailed pre-trip inspection, parking maneuvers and on-street driving, and the applicant must pass each phase of the test before proceeding to the next phase. The Class A or B Exempt test, in contrast, is much more similar to the test you took when you first got your driver's license for a passenger car--except that you're driving your RV. The driving portion is administered in a single phase, and you must score at least 70 points to pass. Because the parking maneuvers are part of this single phase, you can pass the test even if you fail your parking maneuver--something not possible for a CDL applicant. What should I bring to the DPS office when I go to take the skills test? The test examiner will ask to see each of the documents above. Note that if you are towing a trailer, you need to have proof of insurance, registrations and safety inspections for both your tow vehicle and your trailer. It's a good idea to have these neatly organized in sheet protectors in a notebook--not just for the test, but also if you're ever stopped by a law enforcement officer--and to keep them updated. If any of this equipment is not working properly, or if you're missing current license plates (front and rear), windshield wipers, rearview mirrors or safety belts, your vehicle is not legal to drive. You will receive a courtesy warning, and will not be allowed to take the driving test. For this reason, check all of these items yourself before going to take your test. Do I need to have any emergency equipment on board (such as a fire extinguisher or reflector triangles)? No. Although these are required for commercial vehicles, and it's a good idea to carry them on your rig, you are not required to have them for the skills test. Can I have a passenger in the vehicle during the test? The examiner will ride in the front passenger seat with you. Nobody else (like your spouse) is permitted to ride along. He or she will also remind you that you are responsible for the control and safe operation of your vehicle, and that if you cause an accident or break any laws, you will fail the test. This is the time for you to ask any questions of the examiner, as conversation is not permitted during the test itself. You are not allowed to use an outside helper or "spotter". And, unlike on the CDL test, you are not allowed to exit your vehicle to check its position. You must use your mirrors instead. If you have a back-up camera, you may have it on, but don't rely on it too much--the examiner wants to see you using the mirrors as your primary reference. (I had points deducted for over-reliance on the camera, as well as for backing up too slowly.) You are allowed to pull forward to clear an encroachment or get a better position, although if you do this excessively, expect a points deduction. Be sure to come to a complete stop at intersections with the front of your vehicle behind the heavy white line, and then pull forward if needed to see into the intersection. Also be sure to observe applicable speed limits. Don't drive too slowly, either; my wife had points deducted for driving on neighborhood streets at only 10-15 mph, but I stuck to 20 mph which was apparently OK. Finally, check your position in your lane frequently, using your wide-angle mirrors; the examiner will be watching this closely. How long will the test last? Start to finish, the skills test will last about 20 to 30 minutes. Yes, it's that fast. What happens after the skills test is over? The examiner will summarize your performance, tell you if you passed, and give you a copy of the test results. If you passed, the examiner will collect your driver's license and ask you to wait inside for a few minutes, after which he or she will give you back your license with the top cut off, along with a temporary license printout. You must carry both with you when driving until you receive your replacement plastic license in the mail about two weeks later. For how long is a Class A or B Exempt license valid? According to the Texas Driver Handbook, a Class A or B Exempt driver's license is valid for six years--or more specifically, until your birthday in the sixth year after your license was last renewed--just like a Class C license. Does upgrading to a Class A or B Exempt license reset my license renewal date? No, apparently it does not. Your new Class A or B license will keep the same renewal date as your Class C license had. In my case, I had about 4 1/2 years remaining on my Class C, and that's what I have on my Class A Exempt as well. Can I renew my Class A or B Exempt license online? No. Because you must re-submit Form CDL-2, Texas Class A or B Driver License Application, Non-CDL Exempt Vehicles, each time you renew, you must do your renewal in person at a DPS office, unless you are outside the state and can meet the requirements for out-of-state renewal by mail (below). Note that you can renew your license anytime within the one-year period before it expires and keep the same expiration date, so if you are visiting Texas anytime during this period, the easiest way to renew is to just walk into a DPS office and do it in person. Your vision, physical, or mental condition have not changed in a way that affects your ability to operate a motor vehicle. All of the forms listed above except for the Form CDL-2 are contained in the Out-of-State/Out-of-Country Renewal Packet. FYI I used the report function to see if the moderators would get your topic "pinned" to the RV Action Items folder. This info should also be included in the next issue of Escapees magazine. Everyone who needs to get these licenses really needs to thank you. Excellent write up. Your third post is a definite winner! Thanks for the kind words. I really appreciate it. And pinning the post would be a great help for others searching for this info. I was thinking about turning this into an article for the magazine, once I take the skills test and can finish the post. Although it may have to be a multi-part story...it keeps getting longer and longer! Great write up addressing an often misunderstood topic. Great write up. Just completed the driving test in Livingston which took about 20 minutes. Not hard at all. They were very nice and not looking to fail people. They are clearly looking to see if you know how to drive the rig you drive. You need to know how to back up straight between cones with out hitting them. If you can do this for about 60' the rest is easy. Good luck with your test next month. I highly recommend taking the driving at an office like Livingston. I have now updated the original post with information from our driving test two days ago. It wasn't nearly as bad as we thought it might be, and we both passed easily, even though our backing-up maneuvers were weak (for safety, we always work as a team with one person outside the rig, communicating with the driver by walkie-talkie--but you are not allowed to do this on the test). We took our test in Dallas, and they were completely knowledgeable about the Class A Exempt requirements. As TrapperBob said above, the test is not nearly as hard as you might think, and the examiners are not out to fail you--they just want to be sure you can safely drive your rig. So get legal and go get your Class A or B license if it's required to drive your rig! The only drawback to having a Class A/B license is you have to renew in person. Of course, I'm happy just to live another six years and get the opportunity. The above quote is from the first entry in this topic in the area of taking the test. If you are new to driving a Class A motorhome, this is very important. You really need to be aware and learn how to drive in the center of your lane, before you go take the test. The first time I drove a Class A MH and looked in the wide angle rear view mirrors, I was surprised just how far I was to the right side of the driving lane. Sitting in the drivers seat, your first impression is that the left (drivers side) of the MH is over the highway stripe in the left side of of the driving lane when in reality you are not. So be sure to look in both the left and right mirrors to know when you are centered in the lane. Pulling a trailer (TT or 5'er) with a pickup truck, I didn't have this problem. I just put the truck in the center of the lane and the trailer followed nicely. I have never driven a HDT so I don't know what they would be like. One thing that still helps me, even after about 50,000 miles of driving a class A, is to know where the registration sticker on your windshield is, relative to the stripe in the road. A glance at the registration sticker, looking past the sticker to the stripe in the road should tell you exactly how far to the right or left of the center of the lane you are. Every so often I see a Class A going down the road hugging, or driving on, the white stripe on the right side of the road or lane. I know then, the driver never learned to check the mirrors to know they are not centered in the lane. I did not know that. My last three renewals, I went online to try and renew and couldn't get past the first step. I got a message which said renewal for CDL had to be done in person, even though I had a CDL exempt. Never got an option for "Out-of-State Renewal". The lady at the DPS office told me it was because I had to sign the exempt form in front of them, she obviously was wrong. Barb, thanks for pointing that out. I too thought we were going to have to renew in person. I'll add this to the main post for future reference. As recently as two years ago we did the renewal by mail, on a Class A exempt....so I think it can still be done every other time....the in-person is mainly because a new picture has to be taken. I have updated the original post with information on expiration and renewal of the Class A or B Exempt license, including instructions for out-of-state applicants. Jack, I didn't find anything online that says you can renew by mail only every other time if you're out of state. What you're saying is true for in-state renewals, but it looks like if you're out of state, they don't require you to renew in person just to have a new photo taken. Right. In fact, it says this which indicates that it's okay to renew again without appearing in person. It appears that the reason to appear every other time is for an eye exam, if you go by this. Individuals who renewed their driver license online, by phone or by mail the last time must complete the Explanation for Eye Specialist. Individuals renewing a Class A or Class B noncommercial driver license must complete the Exemption Certification." This was really helpful and led to my getting a class B exempt license this month in the Austin area. I took the written test at 216 E Wells Branch Pkwy, Pflugerville, TX 78660 because of their fairly good reputation. They were easy to work with but were confused as to which test I had to take. They gave me the CDL and air brake written test when they should have given me the class B exempt test only. I told them it was not the right testing but they couldn't find someone who knew the correct test to take. Much to their credit one of them stopped me during my test and admitted I had the wrong test. They had found someone who knew the right test to take. Once set up with the correct 20 question test, I finished it in 15 minutes. I then got a phone number to call to schedule my driving test. Don't lose that phone number as it is specific to the driving test appointment. They do not call you the day before your test so if you feel uncomfortable just call them to confirm your appointment. I did so and there was no waiting time so could have driven the same day if I wanted. Waiting time can be weeks during the Spring and Summer. The driving test was at 108 Denson Drive, AUSTIN, TX 78744 on Tuesdays and Thursdays only. Make sure your proof of insurance, registration, inspection are up to date and with you and that headlights, brake lights, emergency lights and the license plate light work. It took about 25 minutes to do everything. I had to demonstrate the air brake 7 step check, back up in a straight line and then drive for ten minutes on various roads, including the interstate. I had my own wheel chocks but they may supply them if needed. I got good marks thanks to the heads up from David and Cheryl. Glad it is done. Follow David and Cheryl's advice and you'll get through fine. Needing advice on getting our Class A exempt. We want DH to get his license in the next couple of months before we purchase the HDT (new Volvo or Kenworth) and put down payment on 5er, mine will come later once I get better at backing. We plan to do the written test here in DFW area but would like to do the driving test in Livingston, TX since it's so RV friendly, we would need to rent a truck/trailer but can't do that w/o a license. Looked into community college driving classes in Collin county but 8+ weeks and $6k so that's not an option. Looked at a day class in Allen Texas but that guys a crook from what I read and an F rating at BBB. There's a place in San Antonio that looks reasonable (<$1k) and DH would have to take the driving test there instead of Livingston. Has anyone else solved this catch 22 of needing a rig to do the test? Many people we know got the rig first then the license or already had a CDL but due a possible red/green color vision issue we want to get license before committing $$ to rig and a new full time 5er. The driving test is now done at "Regional" centers. I don't know if Livingston is one of those centers. You might want to check that before making plans. You're right that you won't be able to rent a Class A rig without the appropriate license. You'd have to find a friend who has one and would lend it to you for training and the test. However, if your only reason to want to get the license before you buy your rig is your concern about passing the vision test, I would simply visit any DPS driver's license office and see if they'll allow you to take the vision and colorblindness test for screening purposes. If they won't do that by itself, then you could submit your application for the Class A Exempt in the office. When they take the application, they'll give you the vision test. If you don't pass it, you could just stop there; if you do pass it, then you'd take the 20-question knowledge test. After that, you have 90 days to take the skills test, which would give you enough time to get your rig and practice for the test. For training, don't waste your money on a community college course--that will be a CDL course and way more than you need. Instead, contact RV Driving School (http://rvdrivingschool.com) and get one of their instructors. He'll come to you, it will cost you just a few hundred dollars for a couple days of instruction, and it will be tailored specifically to RV driving. I highly recommend them. Finally, I wouldn't worry about driving to Livingston for the skills test. If you're already in the DFW area, take it at the Dallas South Megacenter. They knew exactly what they were doing for the Class A Exempt. 1. Get a vision screening to ensure that's not an issue. 2. Buy your rig so that you can practice in it. 3. Get instruction from RV Driving School in your own rig, and practice until you feel you can pass the test. 4. Take the skills test in your own rig. I read the excellent guide and wish I'd had it when I go my Class B non-commercial in 2014. It does contain an error, however, and one that you must know. The guide says the written test covers rules in Section 14 of the Handbook. That's what I thought, too, and flunked my first test. It ALSO COVERS facts and rules from the Appendix which I had not read This is a bunch of stuff about lighting, signage, trailers, and oddball vehicles--very little of which has to do with RV's. HOWEVER, the test does pull 5-6 questions of its 20 from the Appendix. I studied it well and made 100 the 2nd time around. Aside: I took my driving test in Lewisville in my 38' MH. Things were going along swimmingly until my tester put me on the service road for I-35 W at 2 pm. This is one of the busiest highways in Texas, plus she picked an on-ramp in Denton where the highway was curving away from me back to my right. Semi's were whizzing by like cattle in a stampede. The ramp was short and required me to get up to 60+ "right now"! This would be a very hard move for a veterans driver in the best of times, but during a driving test for a motorhome rookie, it was [*#?@]. I made it but looked like an idiot trying to see all the oncoming monsters in my mirror. I aced the test, including going through a multi-lane construction zone with a slalom course of orange cones. However, she did zing me for being unconfident about the interstate merge. I told her, "Ma'am, with what you had me do, we're both lucky to be here!" To this she stated calmly, "Sir, if you're going to play with th' Big Dogs, you have to be able to run with 'em." David-and-Cheryl, thanks for taking the time to provide such great insight into how you would approach this. We plan on getting a HDT and a Spacecraft RV (delivery dates are about 6-9 months out and we won't put and money down on it until we know we can get a license) so will not be able to get them in the 90 days after the written test and eye exam to do the skills test which is why I was looking at day schools. I agree on not wanting to do a full blown CDL school, thanks on suggesting to do the vision test first if they will let him and that the Dallas South Megacenter is a good place to take the skills test. We want to drive Kenworths and Volvos to determine which one we like best before buying one and my assumption is that one of us will need to have the Class A Exempt to do that at a dealership or at the very lease a permit. We both drove a Volvo 780 at the National HDT rally last October but also like the ride in the Kenworth, we didn't drive the Kenworth. So it's still a catch 22 for us. I did find a website that hooks you up with truckers to do some practice and the skills test for a fee but I really don't want to use a random person for that :). I may try to contact the person in Grand Prairie on the rvdrivingschool.com to see if he will let us use his rig to do the skills test in but the site specifically says you need to have your own rig. We feel it's a risk to purchase an HDT and a very heavy RV prior to getting the license - we don't want to get ticketed for driving w/o a license in the HDT then possibly not be able to get the license due to the ding on the driving record. I also do not want to purchase a Volvo or the Spacecraft w/o a license because those would not be easy to sell. So we are in a little different category but I feel there are others out there in our same situation. Bottom line it's not just about the vision it's also about driving without the proper license in an HDT. Our current GMC 2500 HD and 5th wheel do not meet the requirements for the HDT skills test or we would use them. Hmmm. Yes, that's a bit of a Catch-22. We just drive a lowly F-450, so we didn't have that problem, LOL. Someone here must have experience with this kind of situation, though. 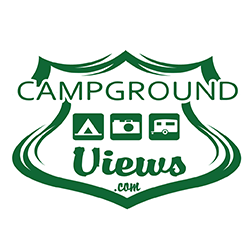 Have you tried asking for help in the HDT Forum here on RVNetwork? I think there's also an HDT group on Facebook that's pretty active--not sure what it's called, but I think it's something like Heavy Duty Haulers. I bet someone in the RV community with an HDT would help you out. You might also contact Glyn Carson for advice. 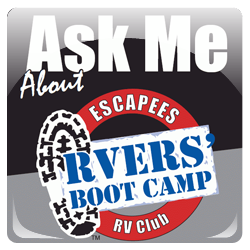 He's an extremely knowledgeable RV Driving School instructor, but also a very active Escapees member (not to mention a great guy). He was an "Ice Road Trucker" and currently hauls his rig (also a Space Craft) with a HDT. I don't have his email address, unfortunately, but you may be able to find him through Escapees or this forum (Diane, his wife, is "dlcarsonak" here). Also, Jack Mayer (http://www.jackdanmayer.com - he's also contributed to this thread several messages back) drives a HDT, and is an expert and frequent community contributor. I think he lives in Texas, too, so he'd be familiar with the relevant laws. Sent you a PM. It might have been our truck you took for a ride.